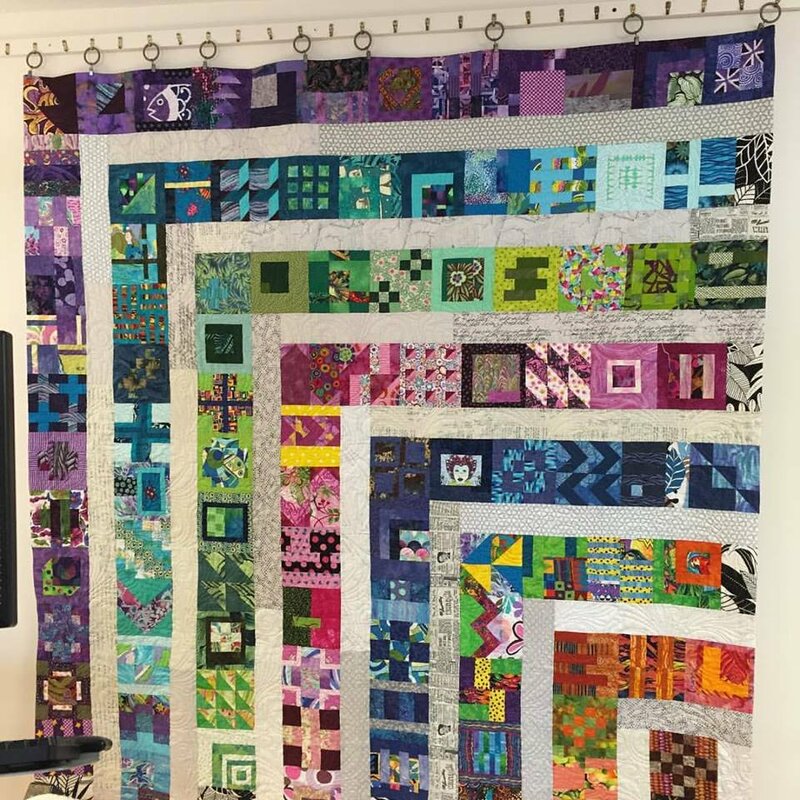 So you always wanted to make a New York Beauty - a wonky log cabin - those 100 Tula Pink blocks - a Dear Jane quilt. But you've not made it yet because.... Why, exactly? Well, join our group and Let's Do This. We'll meet monthly (daytime for the Ladies Who Lunch, nighttime for Divas Who Dine), share a (provided) meal, set our goals for next month, review our goals for the current month, and still have a few hours to sew. Gale will facilitate, answer questions, help pick fabrics, and offer other help where possible. Who knows? You may even end up with a Pressing or Unsewing helper. There will be prizes for meeting your personally-decided goal from last month, and The Penalty Box if you missed your goal. Drawing for the contents of The Penalty Box will be done quarterly. Note: since this involves meal prep, there needs to be at least 5 people registered for the class at least 10 days before the class date. Sign up early and often. *Not suitable for first-time quilters. Basic skills (rotary cutting, 1/4" seam, etc) will not be covered in this group. You will decide your own supply list. Bring all supplies for the project you’ll be working on this month. If you need a machine, bring it. If you will be using your machine, be sure it is in good working order and don’t forget your foot pedal and power cord. If you don’t remember the last time you changed the needle, change the needle. If you don’t remember when you last cleaned out the bobbin area, do that, too. Not suitable for first time quilters.